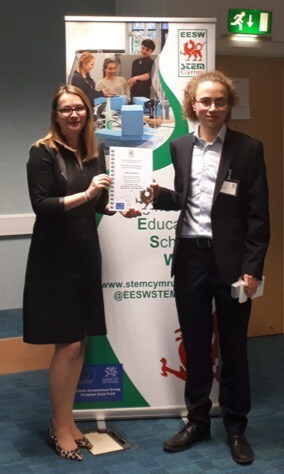 On the 24th of February, Edward Upton received the judge’s award at the Engineering Education Scheme Wales Student of the Year Celebration Event at the Waterton Centre in Bridgend. 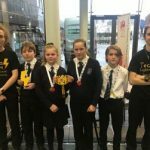 The First Minister for Education, Kirsty Williams AM, presented Edward with his award and chatted to him and his teacher, Mrs Sarah Thomas, about the benefits of STEM-related subjects for both education and the possible future career pathways. 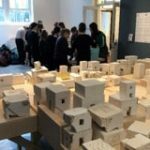 Engineers from various companies who were linked with students with the EESW Sixth Form STEM Project were also present to talk to the finalists about their future aspirations within Science and Technology.